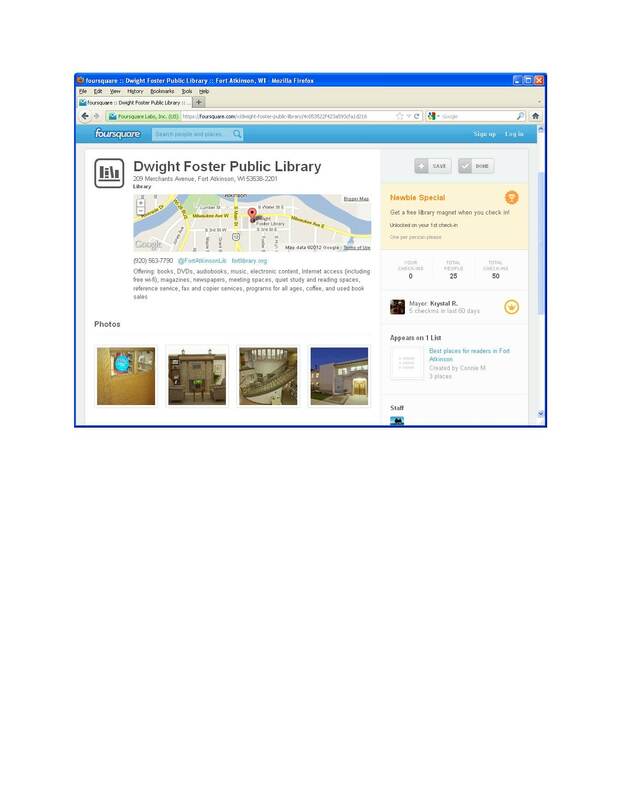 The library now has a listing on both Foursquare and Yelp. Foursquare and Yelp are location based social networking Internet sites and are becoming more and more popular with folks who have Internet capabilities on their phone/mobile device. You can read more about Foursquare here and about Yelp here. Yelp is noted for its venue reviews. Foursquare appears more game-like since it offers badges for checking in. In Foursquare you can actually become “mayor” of a venue if you check-in more than anyone else. I’ve seen deals and specials on both Foursquare and Yelp. It’s an interesting way to learn about a place you are thinking of visiting.